Registration: Open to all attendees. Space is limited and pre-registration required. Don’t miss the opportunity to continue conversation, check out sponsor technologies, games and live art installations while enjoying food and drink. 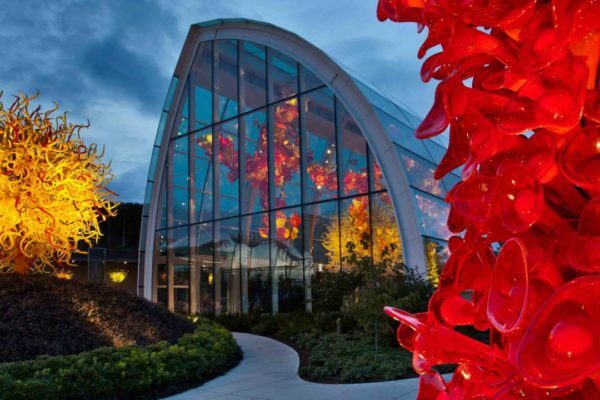 Join us at Museum of Pop Culture , Seattle Space Needle + Chihuly Garden and Glass! Attendees will experience the beauty and intrigue of the Museum of Pop Culture (MoPOP), Seattle Space Needle and Chihuly Garden and Glass at the KubeCon + CloudNativeCon North America 2018 attendee party. 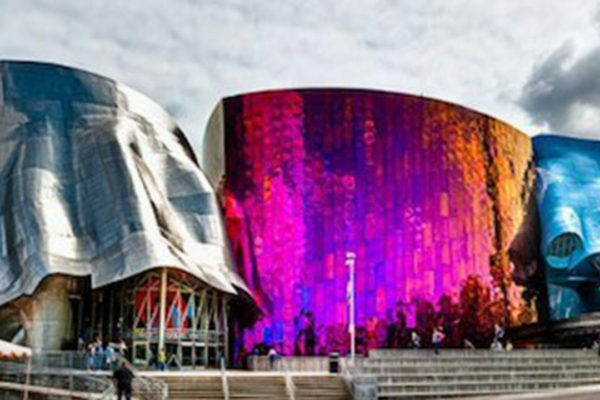 Connect with your inner artist for the evening, whether gazing at Chihuly’s masterpieces, taking in the city views from the Space Needle or enjoying the interactive exhibits at MoPOP – you will not want to miss some of the top rated museums that Seattle has to offer. All conference attendees are invited; food and drinks provided. Don’t forget your name badge and coat – the evening will be chilly! The first bus will depart the Washington State Convention Center at 5:45 PM and will continue to run approximately every 15 minutes until 6:45 PM. Buses from MoPOP and Chihuly Gardens will begin returning at approximately 8:00 PM and will drop off at the Washington State Convention Center only. The last bus will depart MoPOP and Chihuly Gardens at 9:30 PM. 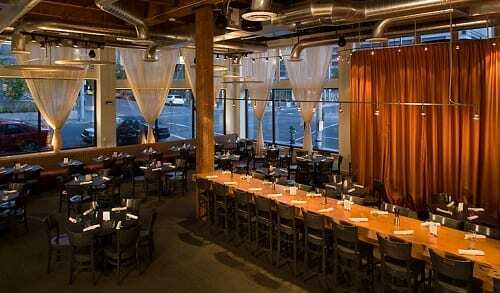 Join other women attending KubeCon + CloudNativeCon North America for sparkling conversation and community at a truly unique Seattle restaurant. Through their restaurants, cafes, catering and programs, Fare Start has been helping people in poverty for over 25 years to overcome barriers by teaching them work and life skills needed to succeed in the food service industry. Learn more! 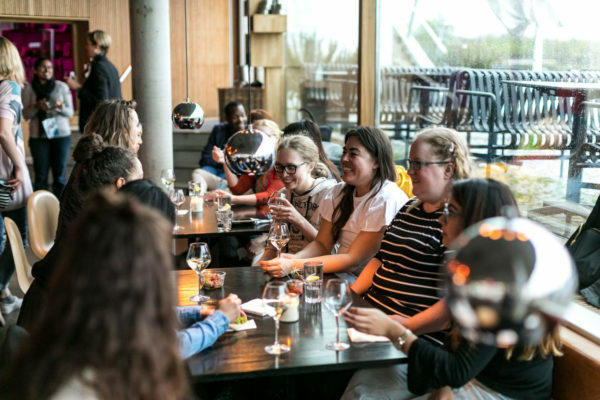 Attendees will have an opportunity to get to know one another and network with other women and allies in the tech industry from around the globe. Conversation during the event will include adoption, usability and life-hacks of distributed systems and containers, app development and current events in Kubernetes and other cloud native technologies, ways to increase inclusivity in our fast-growing ecosystem, and how to get involved with different Cloud Native projects. Join fellow KubeCon attendees and Visit Seattle for a running tour of downtown and the waterfront! Visit Seattle’s volunteer runners will lead various pace groups on a 3-mile loop using city sidewalks. The running tour will leave from the main entrance of the Washington State Convention Center (WSCC) lobby at 6:30 AM. Please arrive by 6:15 AM to turn in the required liability waiver. Space is limited and registration is required. Please sign up for the Fun Run / Walk here. A verbal overview of the suggested loop will be reviewed in the lobby, and Visit Seattle volunteers will be distinguished by brightly colored t-shirts. Start your day off right, please join us for this KubeCon NA18 wellness event! The suggested route starts at the WSCC and takes guests through the Pike Place Market (past all the vendor stalls), along Bell Harbor Marina, through the SAM Sculpture Park, past the Space Needle, MoPOP and Gates Foundation. The route returns to the WSCC by following the Monorail, with a turn onto 6th Ave. past the Amazon Spheres, past the flagship Nordstrom and ends with guests returning to their respective hotels. Come learn, engage in conversation and enjoy a short stack with The New Stack. And of course, our special sponsor, Oracle, deserves the chef’s gratitude for making this breakfast possible. Service meshes, Istio and the underling architectures — fine topics to discuss over a short stack with The New Stack. We’ll explore the scaling of application architectures and how business objectives fit with approaches, team development and workflows that come with service mesh technologies. A big thanks to VMware for sponsoring this Pancake Breakfast and bringing carbs & caffeine to the cloud native community! Join us for a special luncheon & program featuring an agenda that everyone can appreciate! 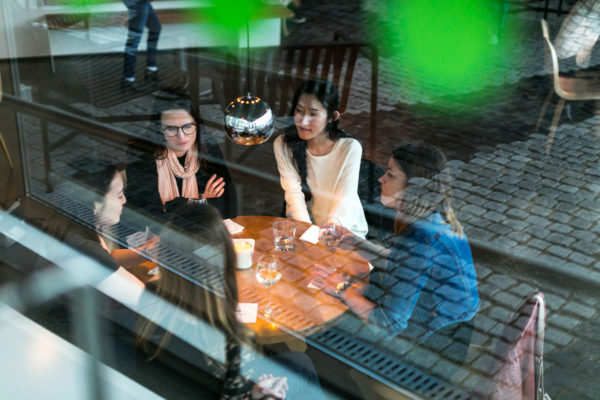 The luncheon will feature round table discussions around diversity and inclusion, opportunities to get hands-on with Kubernetes or pair program on your problem of choice in a safe space with allies. 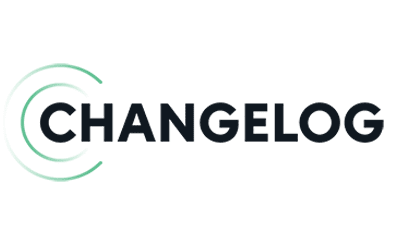 You’ll have the chance to connect with others in the community and build relationships with both novice and open source veterans in the tech industry from around the globe. Complimentary childcare will be available onsite during event days. We are no longer accepting registrations for childcare. If you need a wheelchair or scooter, you can rent them from Scootaround. Please contact them directly for rates and availability. We are pleased to offer complimentary child care for our attendees. Professional child care services will be provided during event hours from Monday, December 10 through Thursday, December 13. Please note that we can only provide this services to those who RSVP by Tuesday, November 13. We encourage early registration to take advantage of this opportunity. If you need any additional details, please email us at events@cncf.io. The Cloud Native Computing Foundation‘s flagship conference gathers adopters and technologists from leading open source and cloud native communities in Seattle, Washington from December 10-13, 2018. Want to attend KubeCon + CloudNativeCon North America 2018, but not sure how to bring it up with your boss? We’ve created this email to help you explain why it’s important to attend. Feel free to use the full letter or pieces of it. See you in Seattle! I’d like to attend KubeCon + CloudNativeCon North America taking place December 10-13, 2018, in Seattle. I’ve researched many conferences, and this is THE conference for gathering developers, IT professionals, and C-level leaders across the ecosystem to share learnings, highlight innovation and discuss the future of cloud native computing, including emerging trends in microservices architectures and container orchestration with technologies like Kubernetes, Prometheus, and many more. 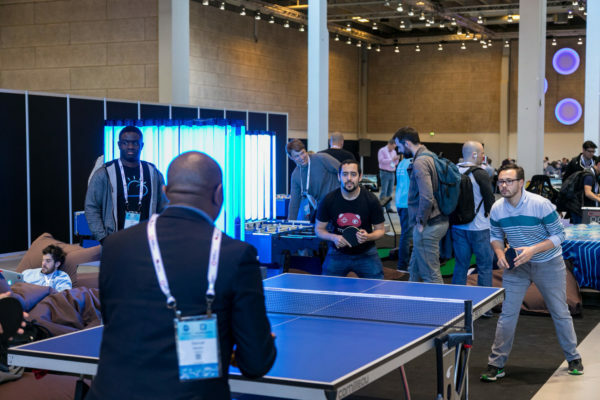 Over 6,000 of the most talented individuals in the industry gather together for this event making it a great place to network with industry professional and learn from the top cloud native experts. KubeCon + CloudNativeCon North America offers 100+ sessions including technical sessions, deep-dives, case studies, and more. Attending these sessions will allow me to build my knowledge on best practices and new trends in the rapidly evolving cloud native ecosystem. 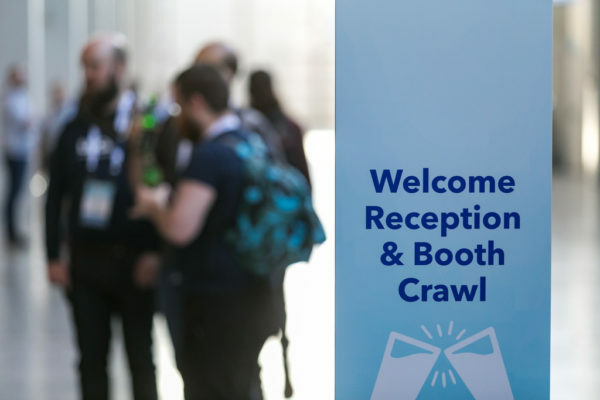 The “hallway track” at KubeCon + CloudNativeCon North America will allow me to meet technology and business leaders to collaborate on the technological challenges and implementations we’re working on, while creating strategic partnerships that will benefit our company. This is the premier vendor-neutral cloud event that brings together the industry’s most respected experts and key maintainers behind the most popular projects in the cloud native ecosystem. I’ll be able to gain insight into the roadmap of these projects and how we can utilize them in our software stack. If I register before September 28, the fee is only USD$950. Included in the registration fee is access to all keynotes and sessions, sponsor technology showcase, hallway track and lounges, continental breakfast and lunch, and other evening networking events. 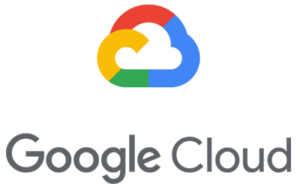 About: The Certified Kubernetes Administrator (CKA) program was created by the Cloud Native Computing Foundation (CNCF), in collaboration with The Linux Foundation, to help develop the Kubernetes ecosystem. As the fourth highest velocity open source project, Kubernetes use is exploding. The Cloud Native Computing Foundation is committed to growing the community of Kubernetes Administrators, thereby allowing continued growth across the broad set of companies and organizations that are using Kubernetes. 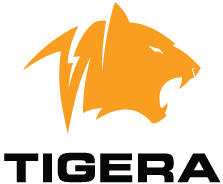 Certification is a key step in that process, allowing certified administrators to quickly establish their credibility and value in the job market, and also allowing companies to more quickly hire high-quality teams to support their growth. Save $50 on the CKA Exam by adding it to your Kubecon NA registration today. You will receive a voucher from the CKA Certification Team November 28 – December 5, 2018, along with instructions on how to register for the exam using your voucher. The exam is delivered online via remote proctoring and available 24/7, and you will have 12 months to complete the exam. Get more info on the exam at https://www.cncf.io/certification/expert/. Pre-registration is required. Add this exam to your existing KubeCon + CloudNativeCon North America registration here. You will receive a voucher from the CKA Certification Team between November 28 – December 5, along with instructions on how to register for the exam using your voucher. About: Created by The Linux Foundation, the LFS258 Kubernetes Fundamentals is an e-learning course that covers the fundamentals needed to understand Kubernetes and get quickly up-to-speed, to start building distributed applications that will scale, be fault-tolerant and simple to manage. 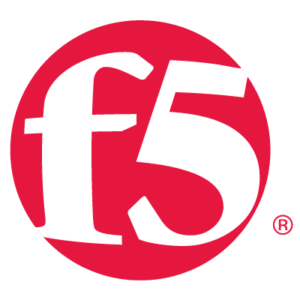 Save $50 on the LFS258 Course by adding it to your Kubecon NA registration today. You will receive a voucher from the Linux Foundation Training Team between November 28 – December 5, 2018, along with instructions on how to enroll in the course using your voucher. Get more info on the LFS258 Course at https://training.linuxfoundation.org/linux-courses/system-administration-training/kubernetes-fundamentals. *Please note this course is online only and will not be offered onsite in Seattle. Add this course to your existing KubeCon + CloudNativeCon North America registration here. You will receive a voucher from the CKA Certification Team between November 28 – December 5, along with instructions on how to register for the exam using your voucher. 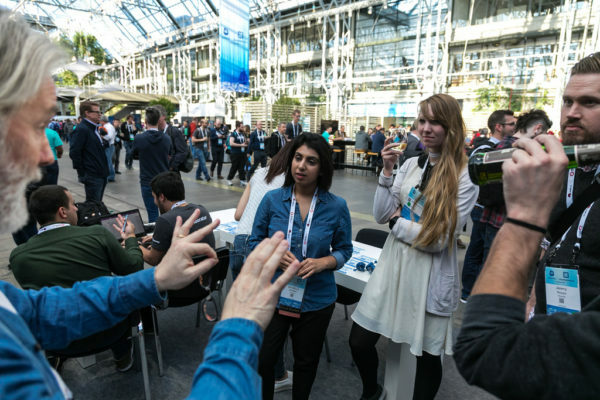 KubeCon + CloudNativeCon brings together leading contributors in cloud native applications and computing, containers, microservices, central orchestration processing, and related projects to further cloud native education. This summit provides a platform for showcasing a full range of technologies that support the cloud native ecosystem. 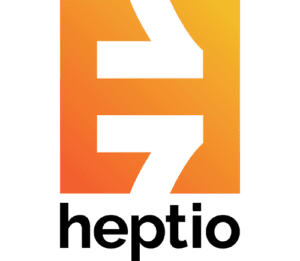 Join CNCF’s hosted projects – Kubernetes, Prometheus, OpenTracing, Fluentd, Linkerd, gRPC, CoreDNS, containerd, rkt, CNI, Envoy, and Jaegar – and help bring cloud native project communities together.